It is not an idle boast. 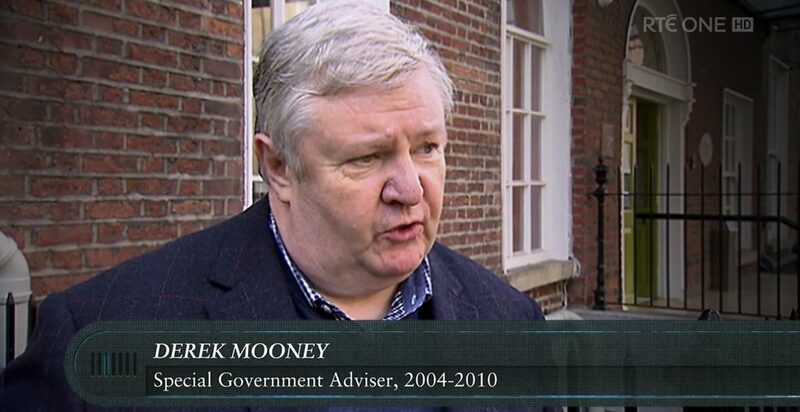 The former US Special Envoy for Northern Ireland, and recent star of RTÉ TV’s Ray Darcy Show, will be joined by former U.S. President Bill Clinton, former British Prime Minister Tony Blair, former Taoiseach Bertie Ahern, as well as many other key players including: Seamus Mallon, Gerry Adams, Jonathan Powell, David Trimble and Peter Robinson. It is a stellar and fascinating line up of those both in front of and behind the scenes. It is an opportunity to recall the huge efforts of the leaders who drove the process and to at last pay tribute to those countless men and women behind the scenes who did so much of the heavy lifting, including the many dedicated civil servants on both sides who worked so diligently to get the process across the line. We rightly recall the huge endorsement the Agreement received both North and South of the border: 71% in the North and 95% in the South, but it is also important to reflect on just how close to failure this process came, right up to the final hours and days. This is something we should bear in mind as we bemoan the failure of this generation of political leaders, particularly those in the DUP and Sinn Féin to either sustain and re-establish the institutions that were handed to them via that 1998 sovereign decision of the people, North and South. More than any other individual – living or dead – John Hume managed to put a stop to the awful killing. The Good Friday Agreement is testimony to the genius of his imagination, the wizardry of his words and the generosity of his spirit. If anything, Gorman’s words are an understatement. The three-stranded structure of the Good Friday Agreement, that recognised the three distinct, yet interconnected, strands of relationships between (1) the two communities in the North, (2) the two parts of this Island – North/South and (3) our two islands – East/West, was a key element of Hume’s analysis and provides the framework around which the agreement is built. The European visionaries decided that difference is not a threat, difference is natural. Difference is of the essence of humanity. Difference is an accident of birth and it should therefore never be the source of hatred or conflict. The answer to difference is to respect it. Therein lies a most fundamental principle of peace – respect for diversity. The peoples of Europe then created institutions which respected their diversity… but allowed them to work together in their common and substantial economic interest. They spilt their sweat and not their blood and by doing so broke down the barriers of distrust of centuries and the new Europe has evolved and is still evolving, based on agreement and respect for difference. The European visionaries Hume refers to here are the founding fathers of the European Union, men such as Robert Schuman, Jean Monnet, Konrad Adenauer, Paul-Henri Spaak and – though it might upset the Tories and their DUP cronies – Winston Churchill. These men had learned that the only way to get diverse, even polarised, communities to stop focusing on their differences and identities was to shift that focus to their common interests. That is what Hume strove to do and, in that work, he had many partners, though not all as willing or even as nuanced in their thinking. There is a reason why Hume took so much of his inspiration from the story of post war Europe. While his slogans and rhetoric come from the American Civil Rights movement and the charismatic leadership of Dr Martin Luther King Jr, the structures and institutional frameworks he favoured were distinctly European. Hume was a great believer in Europe and the EU and saw in it and in Ireland and the UK’s joint membership of the EU, a way to gradually dismantle the border. As the member states of the EU slowly came together to work in closer cooperation and partnership and to form a single market and a customs union, the borders between those members states started to come down and that included Ireland and the UK. He also saw, as did both governments, that joint membership of the EU (originally the EEC) since 1973 helped the two governments develop and improve day-to-day working relations, as ministers and officials from both interacted in Brussels in pursuit of common interests. Personal and political relationships grew, not least those between John Major and Albert Reynolds, as they served together on the EU’s ECOFIN council of Finance Ministers. The development of that relationship led directly to the Downing Street Declaration, which in turn paved the way for the Good Friday Agreement. Anyone who tells you that the EU is not central to the Good Friday Agreement clearly does not know what they are talking about, especially those who repeatedly assert that the words: ‘Europe’ and the ‘European Union’ do not appear in the Agreement. They do, several times. This juvenile effort to use Brexit to run a coach and four through both the spirit and the letter of the Agreement is their response to the way that Britain’s Article 50 Brexit negotiations have floundered. The Agreement has done more to stymie the talks than almost any other issue, even money. But once again the Brexiteers miss the beauty of the basic architecture of the agreement. As Bertie Ahern, Colum Eastwood and countless others have pointed out recently, the Agreement is still relevant today as we struggle to cope with the fall out of Brexit. The three-strand approach that underpins the Agreement can also be a template for how the North (and the South) can avoid some of the harder consequences of Brexit. This is what has informed Micheál Martin’s call for Northern Ireland to become a Special Economic Zone (NISEZ), a call he first made in early 2017 and has repeated several times since. Some months ago, I helped put together a discussion paper, with a colleague, on how it might operate, based on how it has worked successfully elsewhere. An example, to use Hume-speak, of how you focus on common interests not different identities – the antithesis of how the UK is pursuing Brexit. It is right this week that we take time to commemorate the achievements of 1998. Sadly, we cannot celebrate it as we might wish as the institutions are not up and running now and it has not always delivered on its potential but, we can still remind ourselves what is possible from all sides and almost all parties, when we focus on common interests and have the vision to look just a bit beyond the next electoral cycle. While it is tempting to wish we could have another Hume or Mallon today, it is not necessary. The strength of their vision and the skill of them and others from Sinn Féin, the UUP, Alliance, the Women’s Coalition and all the other smaller parties, remain available to us via the architecture of the Good Friday Agreement. So, let’s enjoy the commemorations this week and when they end, let us return to making what we have just commemorated, work.